It’s raining awards for Laplandia Vodka! Laplandia Eclipse was recently awarded the highest ranking Platinum award in this year’s SIP Awards. Laplandia Espresso received a Gold medal in the same competition. Furthermore, one the most prestigious spirits competitions in the world, International Spirits Challenge, awarded Laplandia Lingonberry with their highest ranking Gold medal. The rain of awards began in 2015 when Laplandia Super Premium Vodka received a Master award at the Global Vodka Masters competition. The US based SIP Awards is the only internationally recognized consumer judging spirits competition. Their unique judging process guarantees products unbiased and honest feedback. 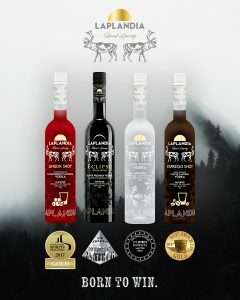 In addition to the Platinum and Gold medals, Laplandia Super Premium Vodka and Laplandia Lingonberry were awarded Silver and Bronze, respectively. International Spirits Challenge, hosted by Drinks International magazine, is one the most respected and influential spirits competitions in the world. The British ISC is known for it’s rigorous judging, so winning an award is considered a remarkable achievement. On top of the Gold medal won by Laplandia Lingonberry, ISC awarded Laplandia Super Premium Vodka with silver. Earlier this spring Laplandia Vodka and Lingonberry vodka were given Silver medals at the Berlin International Spirits Competition. Laplandia Super Premium Vodka was also selected as the Finnish Vodka of the Year. “It’s an amazing thing to bring Finnish beverages to the world and to discover that our products are deemed top quality globally”, comments Ilpo Sulkala, CEO of Shaman Spirits. 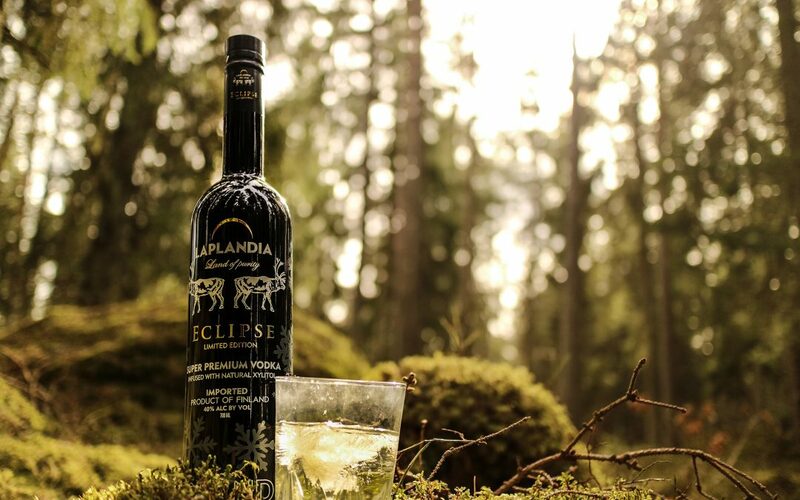 “Laplandia Vodka is the most awarded Finnish alcohol brand in the last 18 months. All this positive attention pushes us to develop and improve our product quality even further. Our mission is to renew vodka as a concept. We produce lingonberry-flavored vodka using real, wild lingonberries – a taste you cannot replicate artificially. This August we’ll also release two new products: Laplandia Bilberry and Laplandia Cloudberry, both already in huge demand all around the world, even before their official launch”, Sulkala continues. Shaman Spirits exports Laplandia Vodka to over twenty different countries, biggest markets being the Baltics and Israel. Company aims to increase the number of export countries to 30 by the end the year 2017. Shaman Spirits has invested around 2,4M euros in the last year and a half to ensure production capacity in the future.